RFID Silicon Wristband - Shenzhen XiangYuXiang Technology Co.,Ltd. 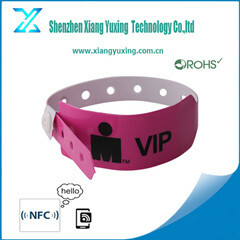 RFID silicon wristband is widely used for access control , identity, information collecting, etc. Application: restuarant, hotel, theme park, school, large event, marathon, etc .